It is predictably more complicated to untie the knot than to say " I do". 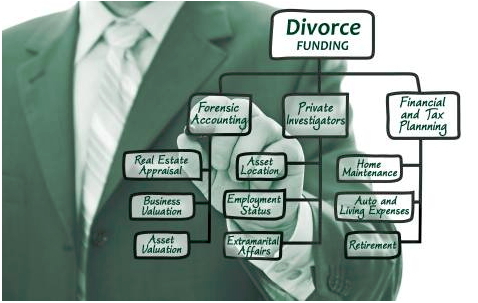 Divorce actions typically have a financially weaker party who would suffer hardship as the result of delay in receiving distribution of marital assets whether by inadvertence or design. For example, some delays may be related to the adversarial litigation process such as investigation and discovery of assets; or there may be a settlement agreement which requires appraisal and/or sale of real property or business assets. Our services restores leverage toward a balanced negotiation between the parties. We will provide up to 20% of the estimated value of a martial estate without regard to creditworthiness or employment and the transaction will remain completely confidential unless you change attorneys and your new attorney is unable or unwilling to protect our lien. 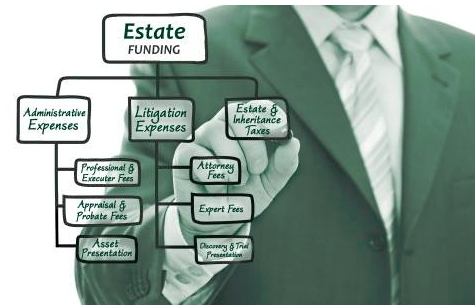 Administration of an Estate can be a complicated process just as the sale of a business. First, assets must be identified and liquidated. Cash may be needed to identify, maintain or protect assets while liabilities must be considered and provided for. There may be less taxes due if paid earlier. There may be litigation to resolve on behalf of Estate and third parties. Even worse, there may be disputes or litigation among family or other beneficiaries . Once all of the substantive issues have been resolved there may be further delays to sell real estate or business assets and thereafter it could take several more months to obtain court approval before final distributions are made and the Estate is closed.